The truth about my first novel, THE LAST MOTEL, can finally be told! 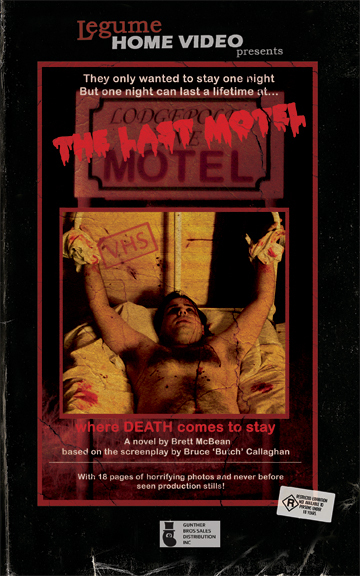 THE LAST MOTEL was a 1981 Australian horror movie that was moderately successful upon its initial release, but soon fell into obscurity. In 2002 I wrote the novel based on the movie, and, with the writer/director’s OK (in fact, on his insistence) the book was marketed as an original novel, rather than a novelisation. Now that the film’s writer/director – Butch Callaghan – is gone, I’ve decided to come clean and let the world know about this little-seen horror movie. Also, the novel will now be re-printed as a movie tie-in, and will be coming soon from LegumeMan Books. More details about both the novelisation and the movie to follow. You can go here to watch the trailer for THE LAST MOTEL, listen to select tracks from the soundtrack, and view behind-the-scenes photos and production stills: The Last Motel – the movie. This entry was posted on June 23, 2011 by brettmcbean. It was filed under General Horror, Genre News, Writing .